← Magic of the Cross? 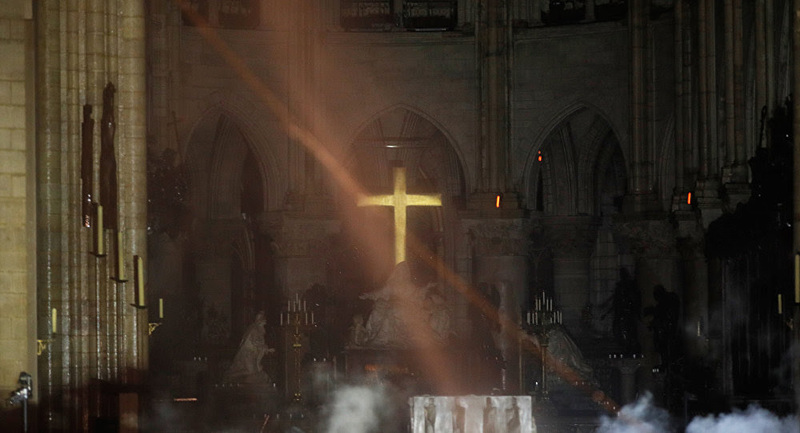 This week we all watched in horror as the Cathedral of Notre Dame burned. The roof collapsed, and at one point all seemed lost. But this is Holy Week, and more than one commentator has spoken on the theme of death and resurrection. 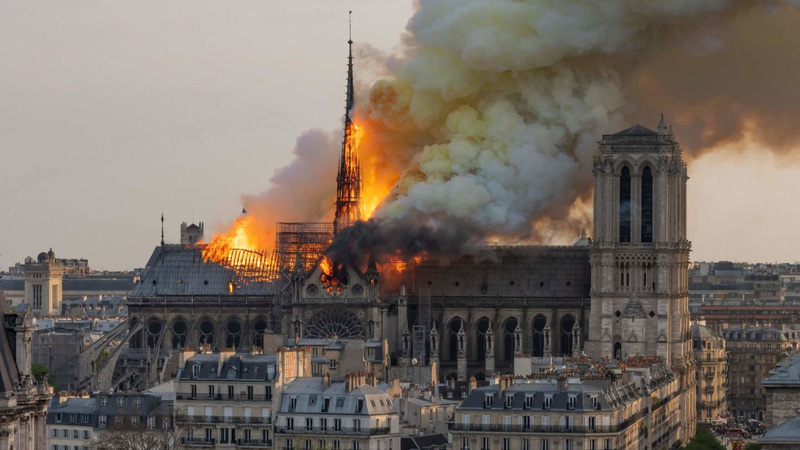 Of course, a cathedral is only wood and stone, but its destruction and rebuilding can act as a symbol that resurrection is possible! In fact, in the Christian life it is not only possible, it is a fact of our salvation. That is the message of Easter. God had opened the way to life, to new beginnings, to wholeness and healing, to communion with God and all! From the flames can come resurrection! On Good Friday we will have a special Tenebrae Service at 7 p.m. 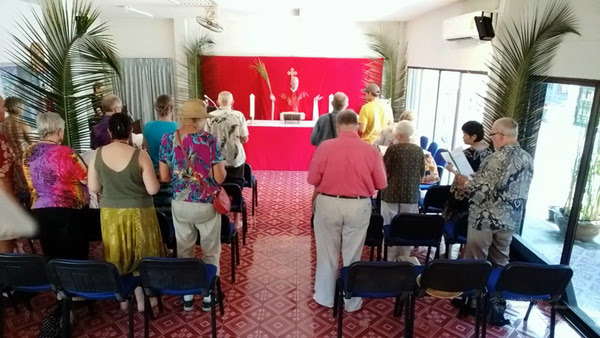 This is a solemn and moving service of hymns and readings, where candles are extinguished as the service progresses through the last days of Jesus life leading up to the crucifixion! We will leave the church in darkness. Our scripture readings for Good Friday will be Matthew 26:17-29, Matthew 26:36-56, Mark 15:1-15, Matthew 27:45-54, Isaiah 52:13-53:5, and Matthew 27:62-66, and we will sing the hymns When I Survey the Wondrous Cross, O Sacred Head Now Wounded, How deep the Father’s love for us, My Song is Love Unknown, Were You There When They Crucified My Lord, and O Love that Will Not Let Me Go! Then on Easter Sunday we will have our joyous resurrection Eucharist at our usual time of 11 a.m.
Our scripture readings for Easter Sunday will be Acts 10:34-43, 1 Corinthians 15:19-26, and John 20:1-18, and we will be singing the hymns Jesus Christ is Risen Today, The Day of Resurrection, Christ is Alive, and Thine Be the Glory, along with a new setting of the Gloria by David Thorne! The readings can be found via this link and past services and sermons can be viewed via the All Saints audio-visual page! The Easter Sunday service will be followed by a potluck lunch and Easter Egg Hunt! The video of highlights of our Palm Sunday Service is available here, or you can just watch the sermon, The Magic of the Cross, here! This Saturday we will be meeting at the Youth Charity Foundation for an Easter Egg hunt and other Easter-themed activities. 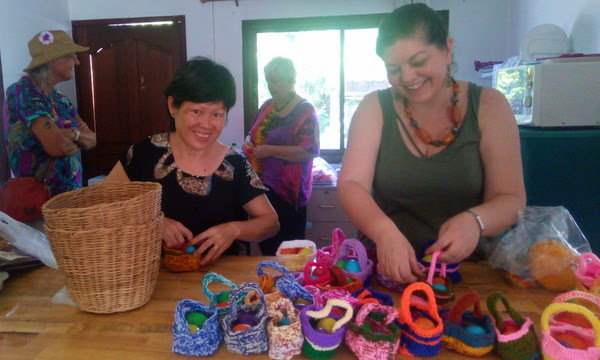 The people of All Saints have crocheted an Easter basket for each child, and we have gifts of candy, too! If you would like to join us, meet at the Youth Charity Foundation at 10 a.m., or at church at 9:30 a.m. if you would like a lift! Click here for the YCF location and directions! The coffee we drink after church at All Saints is supplied by the Chase family. 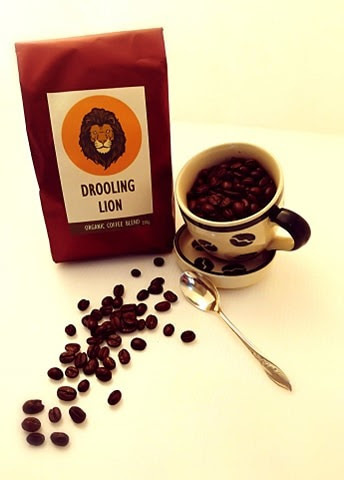 With their Thai partners, they have just launched the Drooling Lion brand of locally grown organic coffee for export! If you would like to get a bag, you can do so after church on Sunday. If all goes well, they hope to launch a special blend in aid of the Youth Charity Foundation. 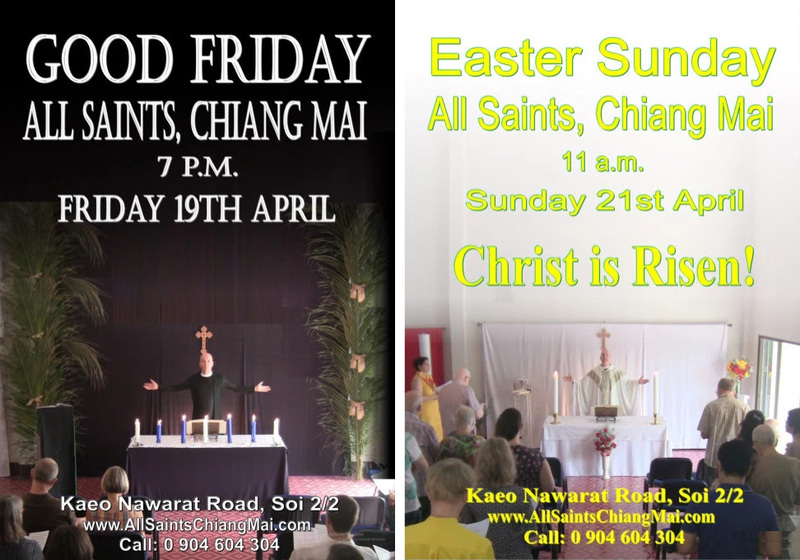 Enter your email address to receive latest news from All Saints, Chiang Mai, by email.